I love the combination of deep rose pink and white and have used these a lot in my home. I think they give a warm but clean look. Most of my house is still a 'work in progress' but the kitchen is finished and I am really pleased with it. I particularly love this color scheme in my kitchen and wanted to share this picture with you. 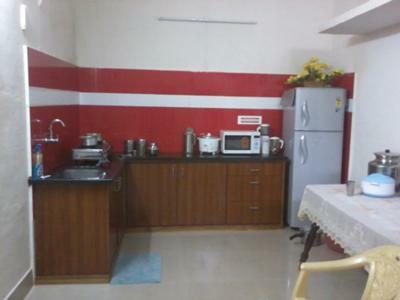 I must say Lavanya, if I was redecorating a whole house, I would start with the kitchen first too. Somehow I could put up with the mess everywhere else as long as I had a nice clean kitchen in which to make a cup of tea.